Terraced houses may not exceed a volume allowance of 40 cubic metres additional roof space. Detached and semi-detached houses may not exceed a volume allowance of 50 cubic metres additional roof space. There must be no extension beyond the plane of the existing roof slope of the principal elevation that fronts the road. No extension must be higher than the highest part of the original roof. The building materials used must be similar in appearance to the existing house. There must be no verandas, balconies or raised platforms. Any opening must be 1.7 metres above the floor. Roof extensions are not permitted developments for listed buildings or in specially designated areas such as conservation sites and national parks. Roof extensions, apart from hip to gable ones, are to be set back, as far as practicable, at least 20 centimetres from the original eave. The conversion must have a sufficiently strong floor. The stability of the property has not been compromised in any way. There is an adequate fire escape. The stairs leading to the conversion are safe. The conversion has adequate insulation between itself and the rooms below. The conversion does not disturb bats or other protected species of animals. 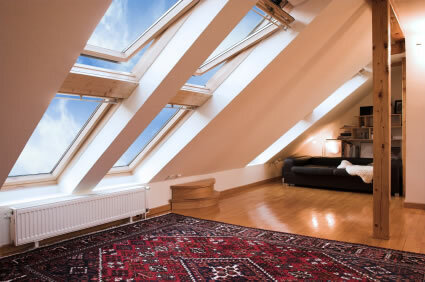 Building requirements for loft conversions to flats, maisonettes and houses over three storeys, will include these and additional, more extensive regulations. If you just plan to board out your loft space to create additional storage, you will also have to comply with building regulations, since the existing timber joists that form the floor of the existing loft are unlikely to have been designed to support a significant weight. The local council building control department can advise you on the requirements, subject to the specifics of the project. 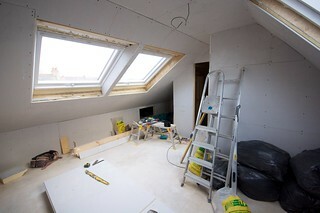 Ask trusted family and friends who have had a loft conversion for recommendations. Contact the National Federation of Builders and ask for a list of registered members. Solicit written quotations from three or more builders and specify that they include what legal requirements must be addressed. Ask for references from the potential builder, and check them. Check the builder’s public liability insurance certificate. Ensure that the written contract includes exactly what work will be completed, the start and completion dates, hours of work, disposal of waste materials and remediation if the project is not completed according to the contract. With the recession likely to continue for some time yet, and housing prices continuing their downward trend, it makes sense to stay in a property and invest in it by making renovations that will not only improve the home’s comfort and livability, but will appeal to potential home buyers, when it comes time to sell.